Community of Hope has been partnering with Pastor Jackson’s church in Cabaret, Haiti for 4 years. Each year CofH, along with other local churches, have traveled once a year to serve in Cabaret. The last trip in January 2017 resulted in many amazing outcomes. The team offered a lot of manual labor to help the Haitian Church rebuild their church on a mountain side and offered labor in the Moringa fields. Our team also offered a leadership seminar, marriage conference, two kid’s clubs which offered crafts and Bible stories and went door to door building relationships with the Haitian community spreading the gospel. Since the team has returned home, the Cabaret Church finished building the church on the mountain! Also, during the team’s door to door time, one of our church members built a relationship with a gentleman unable to walk to church. Offering to carry him to church, the Haitian gentleman agreed to attend church with the team on Sunday. Since then, our Haitian friend has attended the Cabaret church several more times and has been baptized! We want to thank you for all your previous donations which aided in travel expenses for the January’s 2017 Haiti Mission Trip and allowed a full five days with our partner church helping them with their needs and building meaningful relationships with their community. The Cabaret church also teaches our team so much about the pure nonjudgmental love of Jesus. This is a partnership we value and we truly look forward to. We visit the Cabaret Church again in January 2018. If you feel led donate toward the next Haiti trip (January 24th -30th ) you may do so by clicking the "GIVE ONLINE" tab at the very bottom of this website. 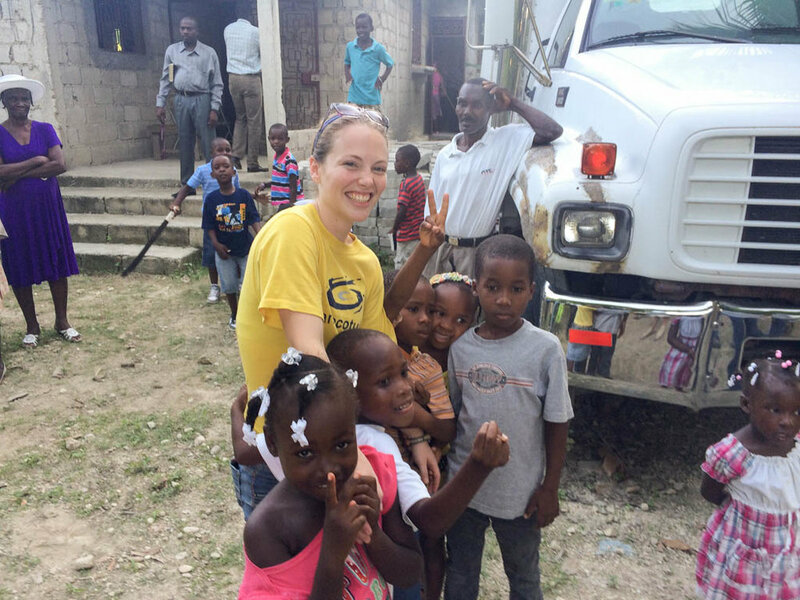 The approximate cost of the January 2018 Haiti Mission Trip per person is $1,200. Any donations go toward travel expenses, rooms to stay in while in Haiti and tools needed to support our partner church.